Well, it was nice while it lasted, but the Michigan State Senate is now back in session. Although the ink is hardly dry on several bad pieces legislation involving public resource management, many of those same bill sponsors are now back from a summer recess and will likely be seeking action on the next phase of their agenda. Accordingly, this bill would obligate the DNR to enter into such an agreement on any lands for which mineral rights are held. 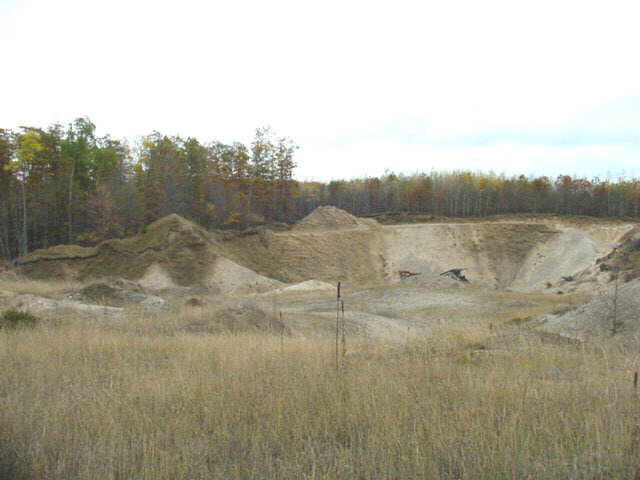 Since the provisions of the bill are not limited to one project at a time, one can imagine a scenario by which County Road Commissions could now develop new sand and gravel extraction quarries in nearly any place of their choosing because the materials needed to develop an access road are also to be made available under the terms of the bill. It is also worth noting that not all County Road Commission projects are conducted with County personnel and equipment. Many projects are contracted through private firms who would presumably now have access to these public sand/gravel resources. This is not to suggest that there would be any intentional misuse of the extracted product, but just who will monitor the operations to be certain that “what happens in this pit stays in this pit,” so to speak? To those who may like to suggest that this proposal represents significant economic benefit to business and taxpayers of the State, just the opposite could be successfully argued. Most of the aggregate and materials associated with these types of projects is locally produced by firms who employ area workers, purchase equipment and also pay taxes. Does anyone realistically expect that they will see even an indirect economic benefit from such a proposal? The reality is you are far more likely to see your favorite grouse covert become a gravel pit. What is also sadly ironic is that this bill, together with others which have recently been passed and signed into law, is that they continue to place more demands on the staff and resources of the DNR by those same people who seem to be the least sympathetic to the issue of sustainable funding for the very same agency. By the way, if you express your concerns about this bill don’t be surprised if you are told that “the DNR does not oppose the legislation.” Since it now appears that the DNR as an agency is no longer encouraged to weigh-in on such pieces of legislation, it will be up to those individuals and organizations who monitor such initiatives to determine the merits or limitations of what now gets proposed. We’ll try to keep you posted on the progress of the bill as we hope and expect others to do as well. Still, it’s not too soon to begin voicing your concerns about the legislation, especially in its current form. Please contact your State Senator who can be found through our link at the top of the page.